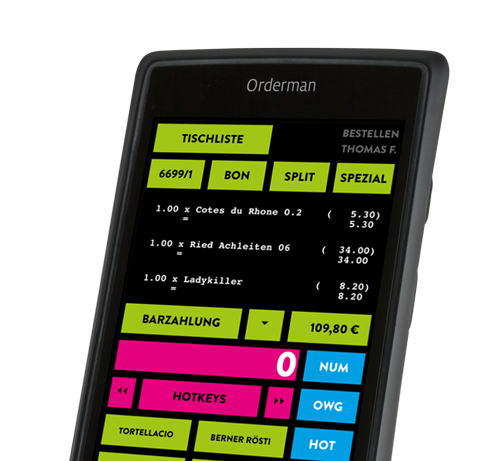 The Matrix POS cash register system is a powerful, innovative and flexible system solution for the entire hotel and restaurant sector. Thanks to its flexible and modular design, it covers everything from classic restaurants, hotel bars and self-service establishments to cafeterias and group catering. as desired using a wide variety of components (software modules, hardware and interfaces). The basic configuration of Matrix POS consists of intuitive and self-explanatory cash register and innovative management software. Matrix POS is able to implement customer-specific CI specifications thanks to its efficient and freely scalable interface. is the background system for centralized setup, management, evaluation, analysis and data archiving. Connection to other systems, such as KOST materials management for further data processing can be expanded in a modular way using standardized or system-specific interfaces. 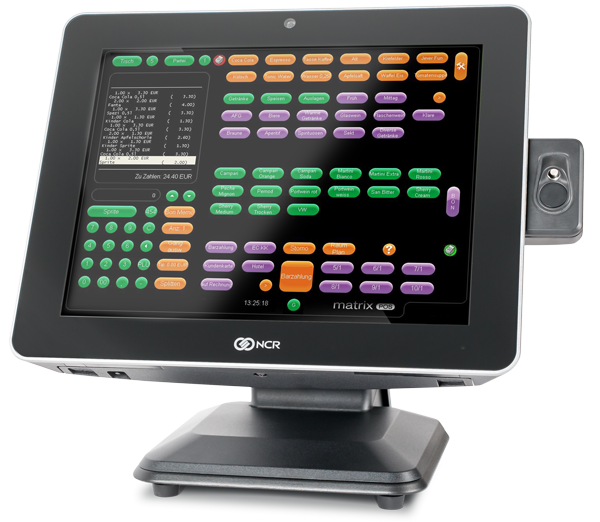 Running your own Restaurant, the Matrix POS cash register system offers you almost unlimited possibilities to connect additional systems – whether it’s hardware or software – to connect to your cash register. As hardware, every device can be connected to the Matrix POS POS system, whether it’s scales, scanners, card readers, customer displays, printers or similar. Your wishes and ideas are virtually unlimited. Matrix NEO! Being a mobile cash register is the perfect complement to your existing Matrix POS cash register system. As one of the few cash register apps, Matrix NEO! integrated the payment with giro and credit card directly at the table. On your tablet or Android smartphone Matrix NEO! is mobile and handy – but you still have everything in sight, for example with the Matrix NEO! room overview. You would like matrix POS cash register to become YOUR system. Our part in this is the design of the surface on the system. We design the screen corresponding exactly to your corporate design – or any other request. For us the customizing of matrix POS Kassensystems is self-evident for us and will facilitate the use and familiarisation ot the new system for you and your staff. And it looks great! Matrix POS cash register system offers you plenty of different reports which you can define yourself. So you as a manager are able to check the numbers at any time. It makes your life easier and you have the full view in one step.